The Galapagos Islands are located across either side of the equator and are home to 18 large islands and 4 smaller islands. Spectacular fauna and flora can be found on these remote islands. The beaches are perfect to relax on while magnificent diving and scuba sites can be experienced by those who love sea sports. Sixty volcanic islands make up the Galapagos Islands which in turn form a wonderful place to visit in the Pacific Ocean. You’ll find tropical marine life in the water, amazing cruising grounds and an archipelago that’s as diverse as it is beautiful. 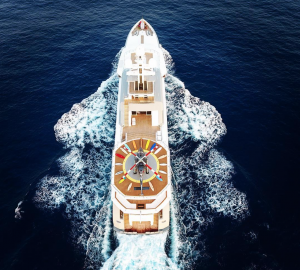 Sailing on board a luxury charter yacht is definitely the best way to stop off at stunning destinations in the Galapagos Islands. Whatever your preference when on a yacht charter, there’s something for everyone. From pretty bays, interesting wildlife, rugged coastlines and great cruising, the Galapagos Islands should certainly be added to your vacation itinerary. Less than 10 sq miles in size, Santa Fe Island is one of the oldest islands in the Galapagos archipelago. The luxurious beaches will provide you with the escape you’ve been looking for, perfect for the modern charterer. If you’re looking for a place to chill out and unwind you couldn’t pick a better spot. Here you will find a rare type of iguana as well as a diverse variety of sea life including sea lions. There are plenty of things to do on Isabela Island like finding penguins and iguanas. Walks through mangroves and seeing the tortoise breeding centre in salt water lagoons will certainly fill your day. As the largest island in the archipelago Isabela Island makes up half of the total landmass. It’s a very popular anchorage with charter vessels of all sizes. Due to the cold-water currents, there’s also a stream of marine life to see like seals, penguins and pelicans. Have your camera ready, you never know what you might see on Isabela Island. Small in size Mosquera Island is situated in the channel between Isla Seymour and Isla Baltra. Despite its small size, 120m by 600m the island has plenty of appeal and fantastic snorkelling hotspots. Enjoy the stunning views from the beach while relaxing and topping up your tan. Keep an eye out for the sea lions that lie on the warm sands of this island as well as yellow crowned herons. Sand and rock cover the island which is awash with shorebirds and lava gulls. Darwin Island is on the equator although at times there are often rain showers. From June to November, temperatures reach 22 degrees C, i.e. 72 degrees F. The warmest time to visit the island is December to May. Make Darwin Island your first Galapagos Island adventure destination. The iconic rock arch of this island is named after Charles Darwin, an English naturalist, scientist and biologist. Darwin Island teems with marine life including exotic birds. 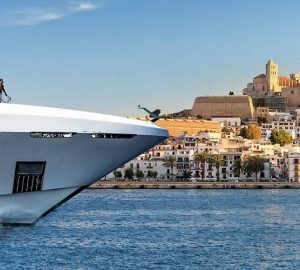 Passing as close as you can to the island on board your superyacht will provide you with unforgettable views. The island has a volcanic coastline with colonies of sea lions lying on the beaches. Remember to keep your camera handy to take photographs of these beautiful creatures and see if you can spot brown pelicans making nests behind the beaches. 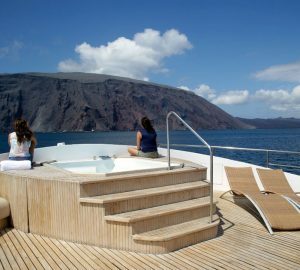 Charter a yacht to Rabida Island, an all year-round Galapagos Island destination. The island has a huge collection of flamingos which really are a sight to see. Check out the distinctive red sands which surround the island and get your snorkelling and diving gear on to explore the rocks on the east coast. Get close up and personal with reef fish near the island’s lagoon, awesome! A small island in the Galapagos, Genovesa Island has a salt water lake called Lake Arcturus. You may see sea lions, seals or hammerhead sharks when diving here, now that sounds exciting! Genovesa Island also known as Tower Island can be found at the north east point of the archipelago. Expect the ultimate in tranquillity here on the beautiful beaches. If it’s diving you’re interested in, the south of the island is the ideal spot with its inner and outer walls. This island is named after St Christopher, patron saint of seafarers. Located on the easternmost of the Galapagos archipelago San Cristobal also has an airport. 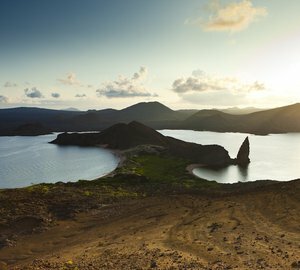 The island is made up from a number of volcanoes and also home to El Junco, the biggest freshwater lake in the Galapagos. Not only is San Cristobal very attractive, it also has two world-class dive sites namely Isla Lobos and Kicker Rock. As the youngest and most westerly island in the Galapagos archipelago, Fernandina Island is blessed with a fabulous reef and unique species of marine life. Only accessible via the north-east corner, you can enter a mangrove forest at Punta Espinosa. This is a dry inlet and home to many inquisitive penguins. The island is volcanically active and can be found right in the middle of the Galapagos Islands. 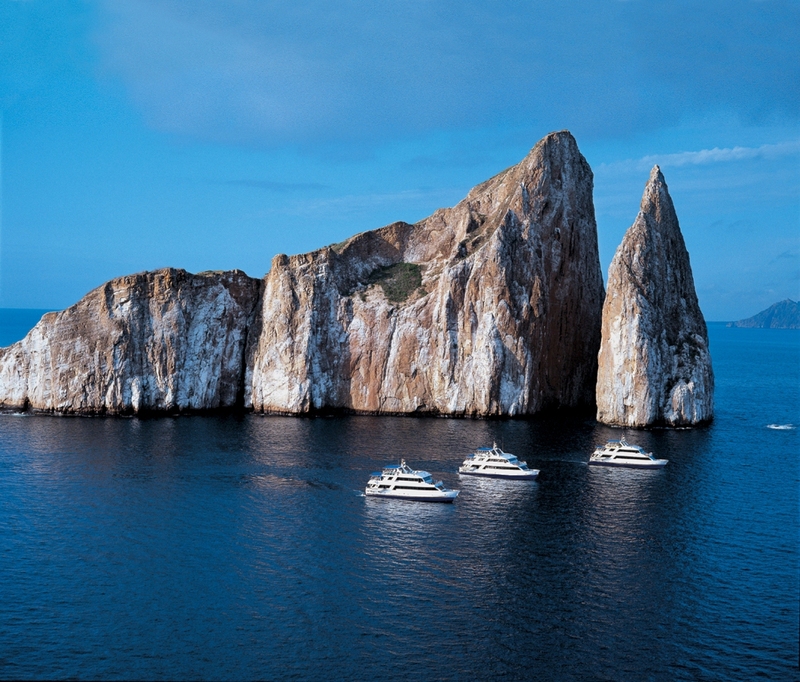 class dive sites namely Isla Lobos and Kicker Rock. This small island is very dry with salt bushes, palo santo trees and prickly pear cactus plants. Land iguanas were reintroduced to Baltra in the 90s and it’s good to know they are now in abundance. During your Galapagos Island yacht charter adventure one of the first islands you come to is Baltra Island. The island has two airports with easy access by water to neighbouring islands. Baltra Island is around two million years old and well worth a visit to explore its rugged landscape. With its distinctive landscape of eroded volcanic hills, Floreana Island has two secluded beaches and the renowned Devil’s Crown dive site. The island has a unique slant too with the historical Post Office Bay. Here you can send postcards without stamps by using an old-fashioned barrel system. over two hundred years old. Now there’s something a little different.